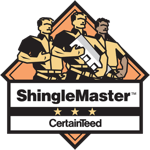 As a GAF certified contractor we are backed by the largest shingle manufacturer in the world. They demand a high level of service and a specific installation processes that we continuously excel by not taking shortcuts. It is very important to have a professional attend your insurance adjustment. Our vast knowledge from working with insurance companies has given us, not only experience but the tools needed to get the homeowner what they fairly deserve. Regardless of your choice of contractor, it’s important to have someone that you trust that can be your second set of eyes to ensure nothing is over looked. We offer 6” custom seamless gutters and covers in a large variety of colors. Knowing you want to protect your home, we’ve invested many hours of training to properly install fiber cement products like Boral and James Hardie, ranging in products from cedar siding, aluminum, as well as vinyl. From interior water damage or just a healthy change we can cleanly and expertly handle any project inside. Exterior painting, we can update your home, deck or fence. We use products like Porter / PPG, and Sherwin Williams. Many times we receive calls for leaks around chimney’s. We have often found that it’s not the flashing but the chimney itself. Whether It’s a cracked cap or column there are many ways to tell if your chimney has been compromised by moisture. It’s one of the many things we look at while we offer our free exterior inspection. We work with local licensed insurance professionals. They are an authority on building codes & construction practices. They ensure that insurance companies have not omitted any items or underpaid the claim to achieve a fair settlement. With one of the owners having a back ground in finance, let us show you how to make your insurance money work for you. As a business that predicates on roofing we get calls for leaks all the time. Let us be your one stop shop to make those issues disappear.